More often than not we talk about communication when talking about relationships. Say what you mean. Mean what you say. Don’t be passive aggressive. Blah blah blah. All that is good. 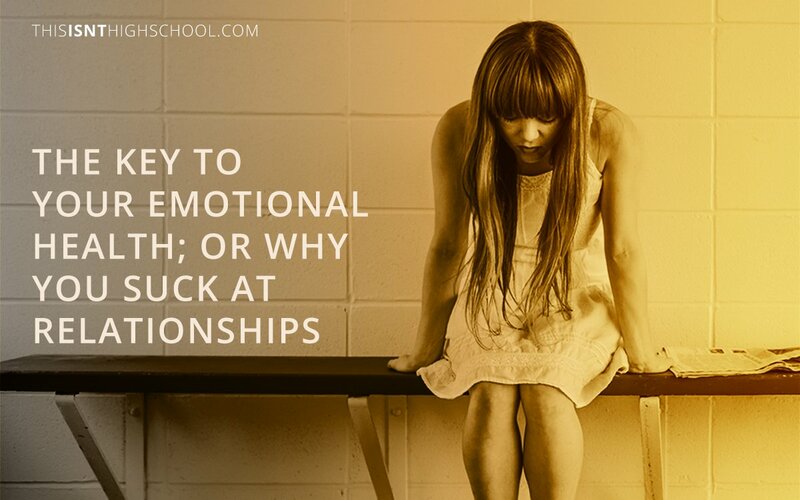 But what if there was an underlying element impacting every relationship you had? So what is that element? You have expectations for everything you interact with. You expect your job to be a certain way. You expect your church to act a certain way. You even expect your neighbors to live a certain way. And when people or places or things don’t match those expectations? And then, by no fault of that person or place or thing, you’re upset with them for something they don’t even know they did. A couple years ago I was on staff at a church as the creative director and communications director. The church was growing and things were great, except for the fact I was constantly swamped and drowning. My boss went to our executive pastor and told him I needed help. In my mind, help meant someone to work underneath me that I would oversee and lead. So imagine my delight when our executive pastor stopped me in the hall and told me he was going to hire someone to help me. And then I found out that person was going to be my new boss. And from that moment on, things at that church were never the same. The executive pastor did nothing wrong. He saw the problem and sought out the best possible solution. But his solution didn’t match my expectation. Looking back over two years later, that situation still hurts. The decision to hire someone over me doesn’t hurt as much as knowing I sabatoged months of personal and professional relationships because my expectation didn’t meet reality. Are you doing that today? Do you seem to always have something hurting you at work? Is there a friend who always does things to annoy you and you can’t figure out what it is? Are you always disappointed in your spouse even though they don’t ever do anything wrong? If your answer to any of those is yes, my guess would be you are projecting some kind of expectation on those relationships that isn’t being met. Your situation will dictate which of those two options you choose. If you’re married, choosing option one is the much better option. But if it’s your job that’s causing the pain? Or a friend? You have a hard decision to make: is the relationship worth me changing or is this expectation a part of the core of who I am? I realized my expectations for what I wanted to do at my old church and what they needed me to do were never going to line up. So I decided my desires and dreams were too important for me to change them so my only choice was to leave that staff. Sometimes the healthiest thing you can do is leave. Is there a relationship you need to leave? Is there a relationship where you need to change your expectations? Life is too short to keep living in conflict. Especially if you can fix it.